This Sunday is Palm Sunday--our service begins with us commemorating Jesus' pilgrimage into Jerusalem. This pilgrimage into Jerusalem begins Jesus' Passion and our journey through Holy Week. During our 8AM and 10AM services, we will host a special "free-will offering" that will be designated for the Diocese's Pilgrimage of Hope. With the backdrop of Jesus' pilgrimage into Jerusalem, we, the St. James Family will be invited to give generously to the upcoming Pilgrimage of Hope. 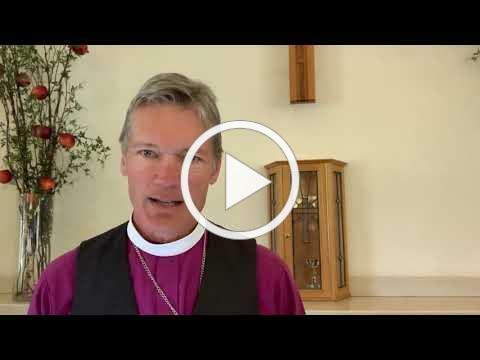 What is the Pilgrimage of Hope? Beginning May 4th, following a service and a blessing at St James Cathedral, pilgrims will begin their walk to Sacramento where they will converge with other faith communities, immigrants and concerned citizens on May 20th at the state capital to celebrate the gifts and contributions that our immigrant brothers and sisters bring to our communities, and to champion and advocate for immigrant rights. All of the clergy of the Cathedral will be walking some or all of the Pilgrimage of Hope. 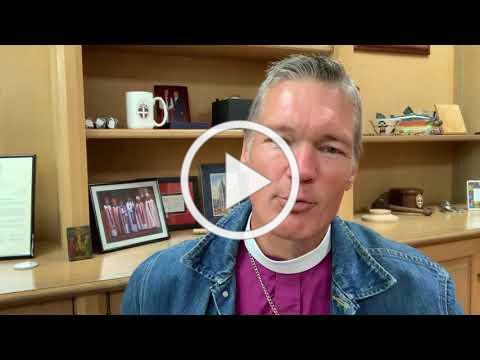 We invite you to make a gift to the Pilgrimage of Hope! 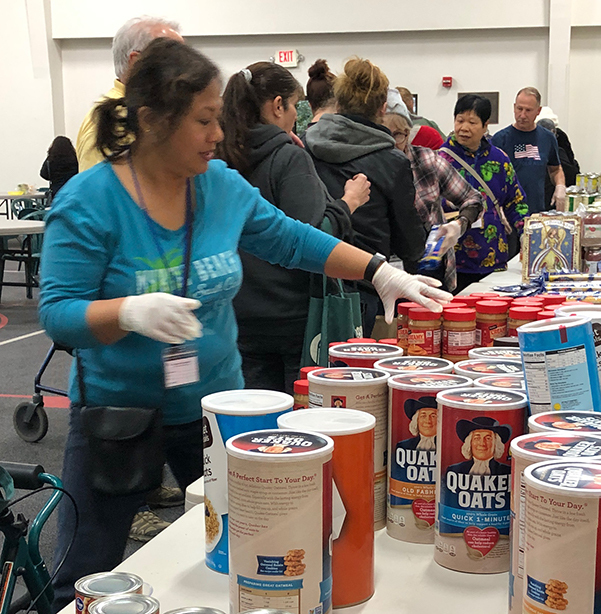 On Sunday, any cash and checks (with the memo line "Pilgrimage of Hope") will be designated to support this important ministry opportunity in the Diocese. 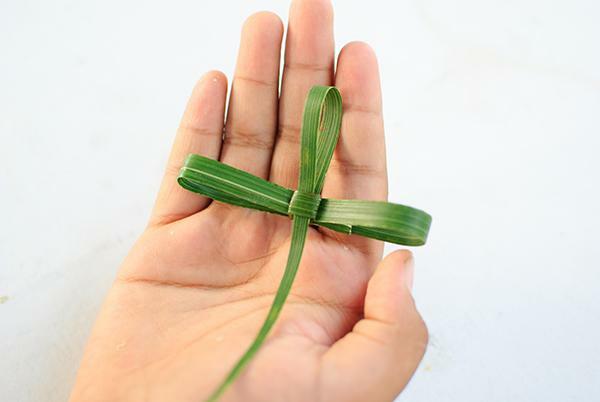 One long-standing tradition in many congregations is to make crosses from palm leaves. There is an art to making palm crosses. It is a fun and family-friendly opportunity to begin preparing for Holy Week. 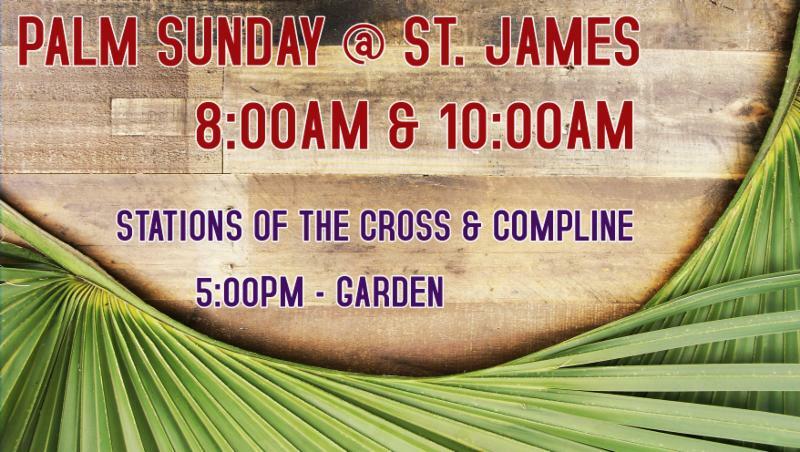 St. James invites you to join us to make palm crosses on Saturday, April 13th at 9:00AM. All are welcome! Starting Sunday, throughout Holy Week, St. James and the entire community will have the amazing opportunity to walk a labyrinth in the Chapel. Throughout the week, the Chapel will be a dedicated space for prayer, reflection, and for those who wish to stroll the labyrinth. A labyrinth is not a maze. There are no tricks to it and no dead ends. Labyrinths are a spiritual tool. Labyrinths have long been used as meditation and prayer tools. A labyrinth is an ancient symbol that relates to wholeness, combining the imagery of the circle and the spiral into a meandering but purposeful path. It represents a journey to our own center and back again out into the world.  It has a single circuitous path that winds its way into the center. The person walking it uses the same path to return from the center and the entrance then becomes the exit. The path is in full view, which allows a person to be quiet and focus internally. Generally, there are three stages to the walk: releasing on the way in, receiving in the center and returning when you follow the return path back out of the labyrinth. Symbolically, and sometimes actually, you are taking back out into the world that which you have received. 1. Purgation (Releasing): A releasing, a letting go of the details of your life. This is the act of shedding thoughts and distractions. A time to open the heart and quiet the mind. 2. Illumination (Receiving): When you reach the center, stay there as long as you like. It is a place of meditation and prayer. Receive what is there for you to receive. 3. Union (Returning): As you leave, following the same path out of the center as you came in, you enter the third stage, which is joining God, your Higher Power, or the healing forces at work in the world. Each time you walk the labyrinth you become more empowered to find and do the work for which you feel your soul is reaching. Throughout Holy Week, the St. James Labyrinth will be available in the Chapel. The labyrinth is open to the entire community. We need volunteers to oversee the labyrinth during the hours of operations. If you are interested in volunteering, please speak to Dean Ryan. 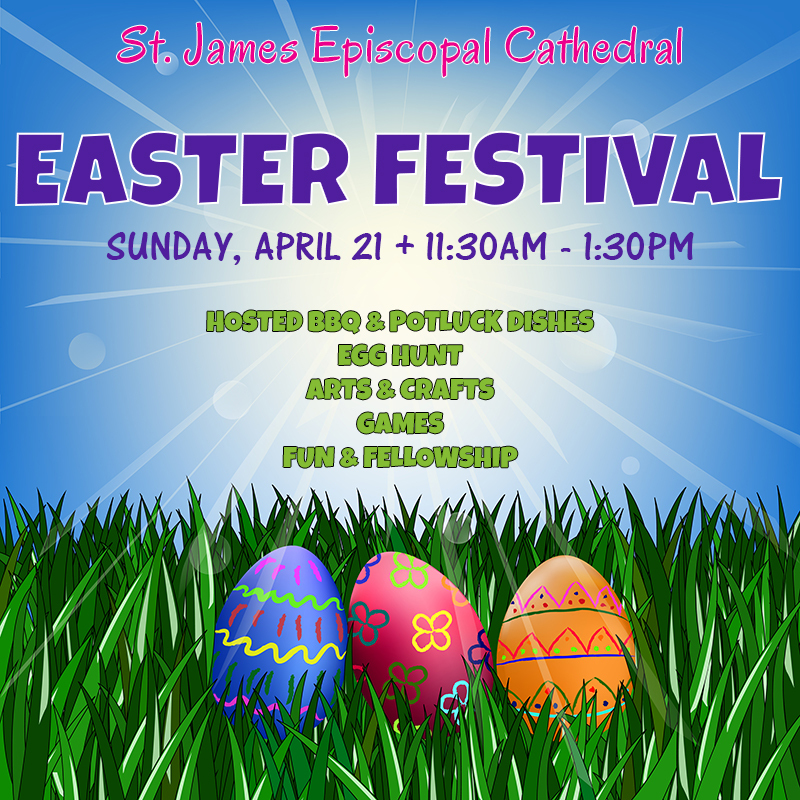 We invite you to join us for an amazing Holy Week and Easter at the Cathedral. 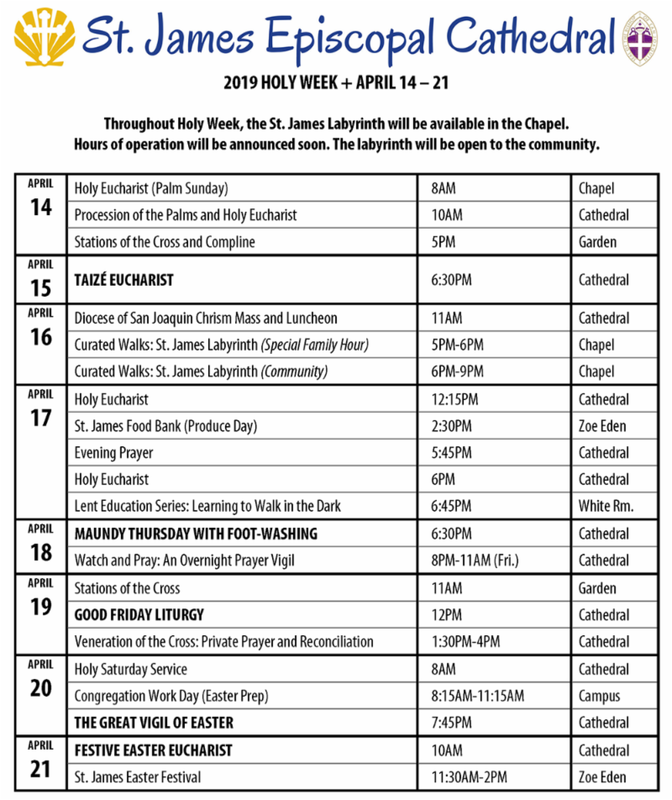 To download a Holy Week Schedule, click here . Holy Week and Easter are almost here! As we approach this profound time in the Church year, volunteers are needed for some crucial roles. 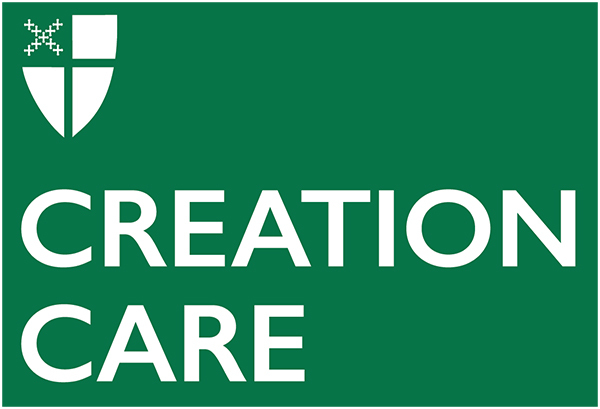 Sign-up sheets will be located at the entrance of the Chapel and Cathedral. 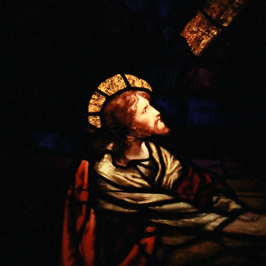 On Thursday, April 18th, St. James will host "Watch & Pray: An Overnight Prayer Vigil." The vigil will begin with Compline at 8:00PM. All are invited to participate in holding any portion of the vigil. The sign-up sheet is available at the entrance of the Cathedral. It is vital that we have continuous coverage for the vigil. A security guard will be posted at the Cathedral entrance throughout the Vigil. The vigil will last until 11AM on Friday. We are also asking the congregation to bring side-dishes to the Easter Festival (Examples: Salad, Fruit Salad, Chips/Dip, Deserts, Finger Foods). ​St James Food Bank has another retail store partner (Fowler/Herndon area) and we need a few volunteers to collect food items on a Saturday from time to time. 😊 Please see Anne Middleton/Tracy Cappel-Rice or signup on our volunteer sheet at back of Cathedral. ​Wednesday's Produce Market, April 17th, will be outside between St. James Chapel and Cathedral and we are hoping for many volunteers amid a festive environment! Please come volunteer, Wednesday April 17th from 12:00PM to 4:30PM. 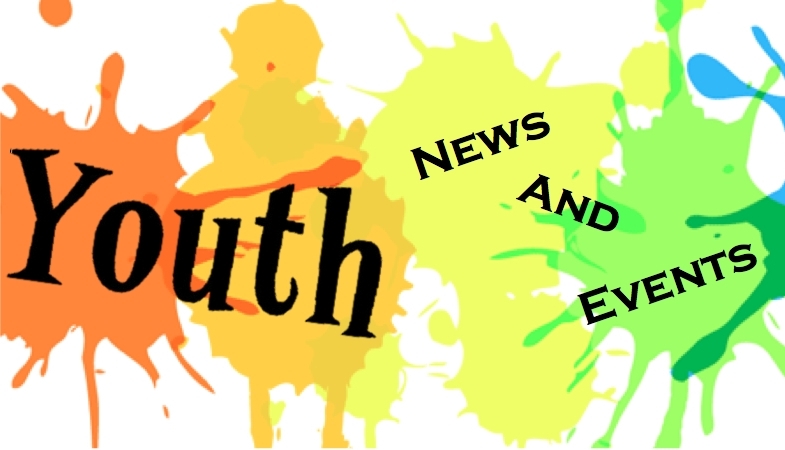 The St. James Youth Group will be meeting on Saturday April 27, 12:30PM-3:30PM in the St. James Gym (Zoe Eden). Join us for an afternoon of fellowship, games, including basketball, volleyball, indoor soccer and board game challenges. We will also be engaging in lively and challenging conversation. There will be food! Invite your friends, this free event is open to youth Junior High and High School age. Those making the pledge, affirm that they "long to grow loving, liberating, life-giving relationship with the whole of God’s Creation" and that they "pledge to protect and renew the Earth and all who call it home." Thanks to the generosity of the St. James community, our Food Bank guests are now enjoying peanut butter, oatmeal, and jelly. 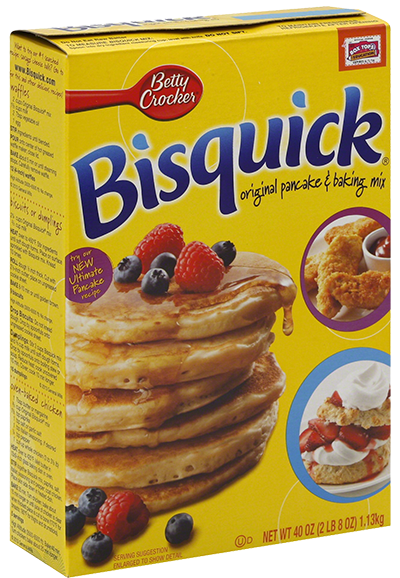 ﻿Throughout Lent, we are asking our Cathedral Congregation to bring Bisquick. Thank you! 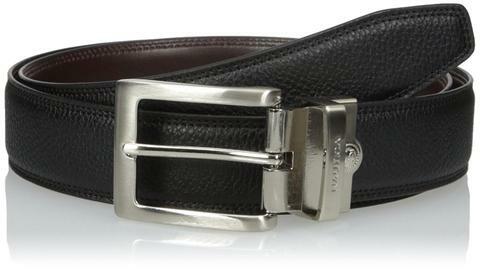 The Cottage Shop (Thrift Shop) and Food Bank are seeking donations of men's belts. On Sunday, there will be a box at the entrance of the Cathedral. Next week, the box will be located in the Cathedral Office. All sizes are needed. Thank you! FORGET WALKING 100 MILES . . . DRIVE IT! So maybe walking 100+ miles is not your thing and you want to be part of the commitment and an integral part of making this “Pilgrimage of Hope” succeed. The Pilgrimage is looking for drivers to support the pilgrimage. What is the requirement of the role? You need to contribute a day of your time, your car that accommodates at least 3 people and a positive attitude. On a specific day you arrive on time with a tank full of gas, at an assigned place on the route. You need a cell phone and perhaps a GPS or location App that you know how to use. 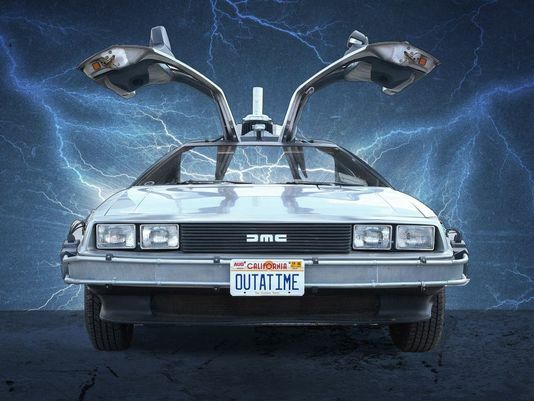 You will be one of at least two runner cars for the team that day. One car generally will stay with the walkers, providing whatever they need. One car will link short time walkers to or from the pilgrimage, or pick up items in towns as they are needed. It would be helpful if this person is local so they can find stores etc easily. We need people who are dependable, flexible, willing to do or find unusual things, and have a ‘can do’ outlook on this adventure. You also need a current driver’s license, and an insured car. Please join the Pilgrimage for the dinner, the program and service after the day’s walk. And then you can go back to your comfortable familiar bed in your own home. If you want to do this every day, or just one day – we love you and Bless you for being a part of this amazing Pilgrimage of Hope. To volunteer, click the button below or hard-copies of the volunteer application will be available this Sunday--see Deacon Terrance. In the winter of 2017, the clergy and lay leaders began to dream of a pilgrimage...one where we, along with other faith communities and friends, would walk the diocese, engaging in formation and prayer along the way regarding the needs and concerns of our immigrant brothers and sisters. Now we are ready to make this dream a reality. Beginning May 4th, following a service and a blessing at St James Cathedral in Fresno, pilgrims will begin their walk to Sacramento where they will converge with other faith communities, immigrants and concerned citizens on May 20th at the state capital to celebrate the gifts and contributions that our immigrant brothers and sisters bring to our communities, and to champion and advocate for immigrant rights. This will involve sixteen consecutive days of walking, praying, and reflecting. At stops along the way, walkers will gather with the local faith community to share the purpose of the walk, learn about local concerns of immigrants and pray together. If you have any feedback, comments, or questions for the Midweek Missive Editors, please email us . Submissions to the Midweek Missive are welcomed and must be submitted to midweek@stjamesfresno.org by Tuesday at noon.